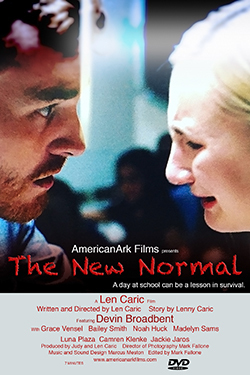 Filmaker's Corner #1004 "The Rock and New Normal"
If you have a film that you'd like to submit for consideration, please send your non-returnable DVD to: Minette Seate, Filmmakers Corner, c/o WQED, 4802 Fifth Avenue, Pittsburgh, PA 15213. Or, email your link to us at filmmakerscorner@wqed.org. It takes a while to get through all of the submissions, so please send a DVD that you won't need back. Works should be 55 minutes long or less. Submission of a film or video in no way guarantees broadcast. 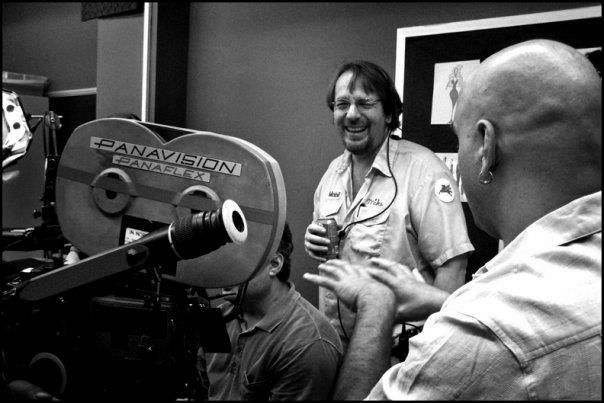 For more on Filmmakers Corner, visit us on Facebook at Filmmakers Corner. February 9 at 10 p.m. 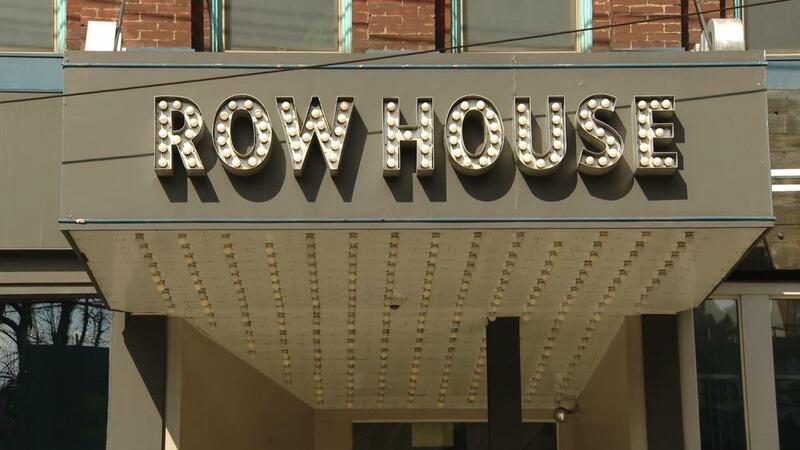 Host Minette Seate visits Row House Cinema, a fun and fanciful movie theater that screens an eclectic mix of films in Pittsburgh’s Lawrenceville neighborhood. Also, a new work by filmmaker David Bernabo, “The Vacation” is a gorgeous culinary journey through Italy. Host Minette Seate interviews Wendy Grube, screen writer, producer and president of the Carnegie Screenwriters, a community group for movie makers. Films on this week’s episode include: Wendy Grube’s “They Always Come Back,” Dan Bisbee’s “Slate, Please!,” Jess Paul’s “Promenade,” and from Pixelab Studios “Gala” and “Stage Five.” For more information on the Carnegie Screenwriters, visit their website at www.carnegiescreenwriters.com. Filmmaker, educator and dad are just a few of PJ Gaynard’s titles. 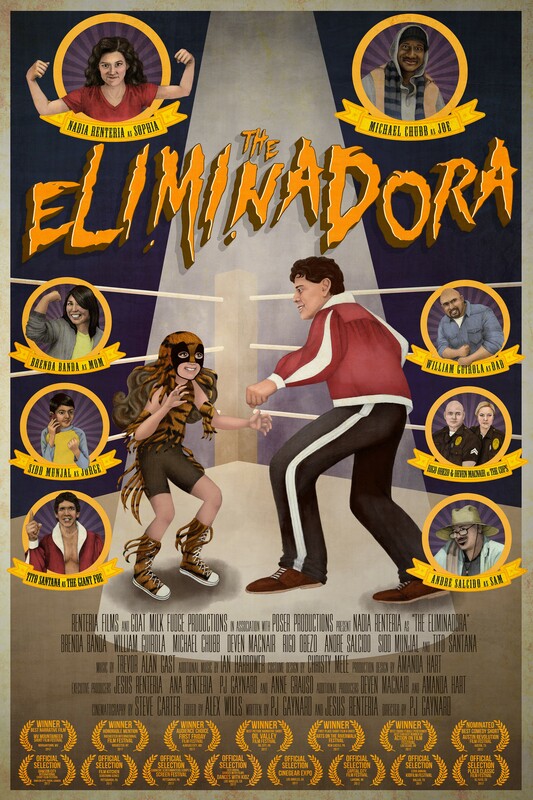 He returns to Filmmakers Corner this week to talk to Minette Seate about training the next generation of film techs and to screen his two newest films: “The Eliminadora” and “The Decisionists”. This week’s episode also features an assortment of shorts from local artists. Host Minette Seate interviews Kathryn Spitz Cohan, Executive Director of Film Pittsburgh, the sponsoring organization for the JFilm and ReelAbilities festivals talks about Film Pittsburgh and the 2017 JFilm Festival. Festival information can be found at filmpittsburgh.org/festivals. Host Minette Seate interviews composer/director/ videographer Emmai Alaquiva on his past work and screens his newest film. 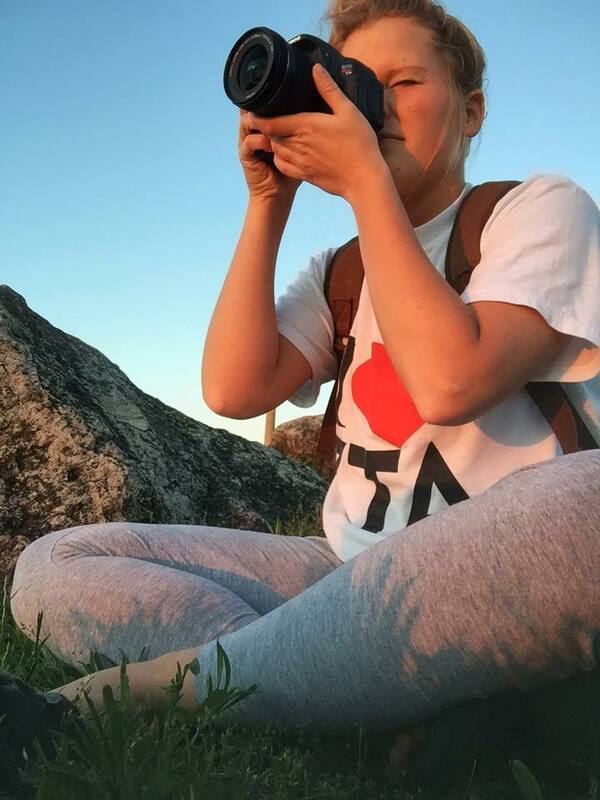 Alaquiva traveled to Poland with non-profit educational organization Classrooms Without Borders and a group of local students to document their journey to learn the lesson and legacy of the holocaust. Filmmakers Corner returns Saturday, October 29th for its eighth season, presenting original work by a gallery of the region’s most talented students, independent artists and filmmakers. 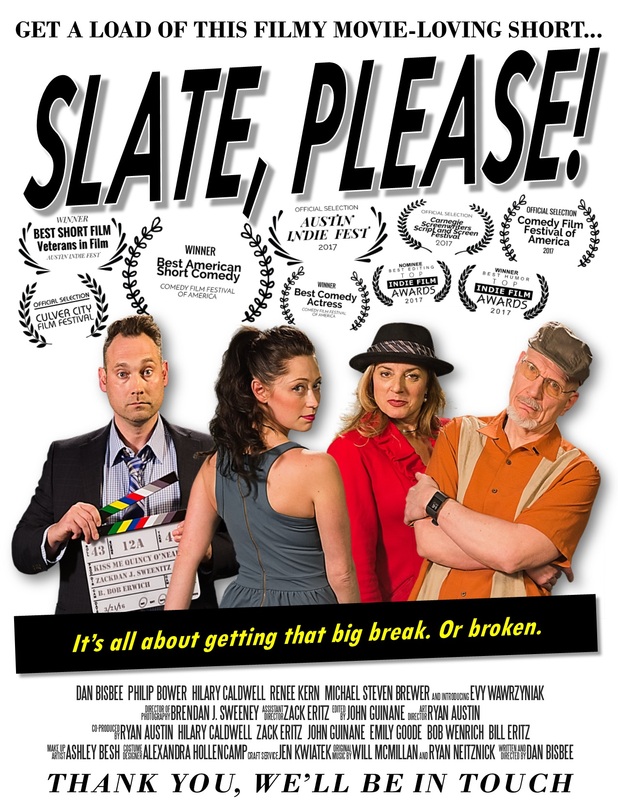 The season premiere will screen four films: Guardians, featuring actor-producer Rejeana Palma, The End of Blessings by Point Park University’s John Rice, The Beat Goes On by Randy Kovitz, and Happy Birthday To Me, which also took first place in this year’s 48 Hour Film Project. Minette Seate talks with Jeremy Braverman, Chair of Point Park University’s cinema arts department. Jeremy talks about the university’s course offerings and discusses the requirements for the annual Cinema Showcase. We also screen five Point Park produced shorts: “Heart of a Bee,” “The Big Fold,” “Throne,” “Fade” and“Requited.” For more information on Point Park curriculum and films, go to their website. Host Minette Seate interviews screenwriter-producer-actor John Russo, one of the creators of the American horror classic “Night of the Living Dead.” Russo shares stories from the film’s history and his life in movie making. Viewers also get a look at clips from his other works including “The Mob Boss and the Soul Singer” and his latest film “My Uncle John is a Zombie.” The episode also includes two new films: Kevin Hejna’s “Zombie Woman” and P.J. Gaynard’s “The Incredible Case of Zara Gordon.” And shorts from past season’s including Tammy Tsai’s award-winning web series “Dog Bytes,” and 48 Hour Film Project veterans “Green Eyed,” and “The Last. This episode contains violence and some graphic images. Host Minette Seate talks to Dave Dunlap about his film "759 Dresden," a documentary on the unsolved triple-homicide that devastated the small town of East Liverpool Ohio in the 1970's. Host Minette Seate interviews Halish Saluja on the upcoming Silk Screen Asian American Film festival, followed by a series of short films: Jose Muniain's "Sampsonia Way: City of Asylum Pittsburgh," Andrew Batista's "Piano Story," Ryan Krumm's "Quiet on the Set," and Matt Day's "Beached," "Laundry," "Cup of Joe," and "Pittsburghis It's Burgh." Three short films beginning with Tammy Tsai’s “Dog Bytes,” the first episode in a dark comic on-line series that includes murder, mayhem and melodrama. 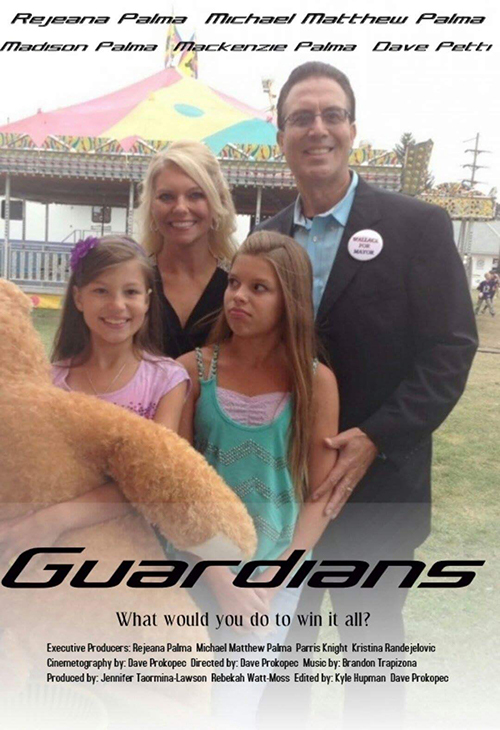 Also, “Man of Steel,” a short film about the dying steel industry and its effect on an average family. The last film is “Troubadour Blues,” a shortened version of Tom Weber’s full-length documentary on the road weary life of the traveling musician. Host Minette Seate interviews John Kirch, producer/director of "Doo Dah Days", a documentary on composer Stephen Foster, the annual celebration in his honor (called "Doo Dah Days") and his connection to Pittsburgh's Lawrenceville neighborhood. "Doo Dah Days" is shown. 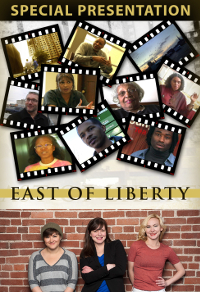 This episode features an interview with filmmaker Chris Ivey and a 52-minute version of his documentary "East of Liberty," a look at the developments occurring in the East Liberty neighborhood and how they're being perceived by the citizens, business owners, city planners, etc. Host Minette Seate interviews documentarian Chris Ivey and talks about his ongoing East of Liberty film series that examines the effects of the changes on this now prosperous Pittsburgh neighborhood and its residents. Minette is also joined by Don DiGuilio and Tressa Glover creators of the live-theater sitcom “Sisters Sorella”. What happens when three very different sisters live together under one roof? They discuss doing a sitcom live on stage and we’ll see several shorts based on the stage productions. Also, interview with and films by local director Bailey Donovan including “Maggie vs. the Evil Dead,” “Object of Affection” and “Knuckle Sandwich.” It’s a night of film and filmmakers on the next Filmmakers Corner. The decision to close Schenley, one of the City’s most respected and beloved high schools after the 2008 school year, was one met with anger and sadness by quite a few Pittsburghers. But Schenley was more than just another controversial school closing. The documentary discusses Schenley’s legacy with former students, faculty and community leaders. They recall the school’s glory days and its last impact on the city. Host Minette Seate will be joined by Michelle Jackson, Community Affairs Officer for the Housing Authority of the City of Pittsburgh and Lacal Turner who was part of the film’s production team. Ms. Jackson talks about the HACP’s Creative Arts Corner, the program that helps residents become media literate. For more information on “Enter To Learn, Go Forth to Serve” and the HACP programs, viewers can call them at 412-395-3950 or visit on line www.hacp.org. Host Minette Seate interviews the Cheo Tyehimba Taylor (founder) and participants in the groundbreaking Game Changers Project, a film project for male African American filmmakers chosen from ten cities across the U.S. Interview guests include Game Changers Fellows James Robertson and Haji Muja. Program also includes their films: “Song for Trayvon,” by Jasiri X; “Building Men in an Age of Endangerment” by James Robertson; “Creative Fire: Pittsburgh Arts Group Helps Transform Youth” and “Cornell Jones” by Chris Ivey. Minette Seate hosts a new episode on the Game Changers Project, the non-profit on-line video project/fellowship/forum dedicated to films by and about African-American men. Minette talks to project founders about the project’s longevity and talks to four Game Changers Fellows, all from Pittsburgh. Host Minette Seate interviews Ralph Vittuccio prior to screening his Iraq War documentary: In Service: Iraq to Pittsburgh. Conversations and observations from men and women from Southwestern PA who have served or are serving in Iraq. Includes footage shot by soldiers and journalists on the ground in Iraq. Host Minette Seate interviews Iris Samson and Katherine Spitz Cohan on the 18th annual JFilm Fest (formerly the Jewish and Israeli Film Festival). Also, short films from Elizabeth Seamans ("Outdoor Activity"), Tess Allard ("Broke Down Mill Town," "Bird Land," "Journey") and Len Caric ("Roof of the World"). Host Minette Seate interviews Iris Samson, Chair, and Katherine Spitz Cohan, Executive Director, on the 18th annual JFilm Fest (formerly the Jewish and Israeli Film Festival). Included are clips from the upcoming festival and a discussion of JFilm's history. Filmmakers Corner returns for a sixth season of localore film and video. Host Minette Seate welcomes documentarian, musician and writer Julie Sokolow kicks off the new season of Filmmakers Corner. She’s also the creator of the documentary series “Healthy Artists,” a look at how artists navigate their lives without health insurance. Tonight’s episode screens her short films: “Making House Calls,” “The Billy Ireland Cartoon Library and Museum,” and “Russian Icon Painter.” Minette and Julie also talk to about her upcoming feature length documentary “Aspie Seeks Love”. For more on Julie Sokolow, her life and work, go to her webpage: juliesokolow.com Also on this episode, Joe Ligo’s documentary “The Unfortunate History of the AMC Pacer.” Like all great heroes, the Pacer was maligned and misunderstood during its heyday. In “Unfortunate History” Joe talks to the folks who built and designed the gold-fish bowl shaped Pacer, along with the collectors who treasure it today. Producer Ligo explores everything from the car’s origins, to its engine design and the rise and fall of American Motors Company. Host Minette Seate interviews Randy Kovich and Deborah Hoskings, co-writers and creators of the film “Lightweight,” which is also screened during this episode. Also, trailers from the highlights of the 30th annual Three Rivers Film Festival and two shorts from last year’s competition. Laura Jane Kahl from Pittsburgh Filmmakers previews the 32nd Annual 3 Rivers Film Festival with host/producer Minette Seate. The preview includes scenes from opening night Festival Films and event highlights. Minette also interviews Lisa Reed-Smith, COO of the Steeltown Film Factory about the winners for their film competitions. Films include: “The Perils of Growing Up Flat Chested” and “Escape from St. Quentin’s.” The 32nd Annual Three Rivers Film Festival runs from November 8 – 23, 2013. For more information, go to 3rff.com To find out about special events or how to get involved in their screenwriting competition, go to: Steeltownfilmfactory.org or Steeltown.org. Madame Presidenta: Why Not U.S.? (Vamos Meninas! ): A documentary focusing on Brazil’s female president Dilma Rousseff and the role women play in shaping that country’s political and economic climate. 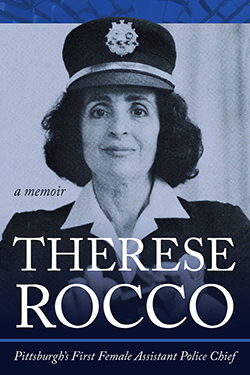 The documentary also examines the possibility of a woman in the office of president of the United States. Produced by The Women and Girls Foundation of Pennsylvania. This week's episode features three short films beginning with Tom Poole’s “The Black Male Experience” composed of interviews with a collective of Black Male Pittsburghers on their varied life experiences. “Little Blue: A Short Documentary” by Angela Wiley tells the stories of citizens in Beaver County, Pennsylvania and Hancock County, West Virginia who live around Little Blue Run Dam, one of the largest coal ash impoundments in the country. “The Lint Lady” a film by Alex Lee, Christa Majoras and Angela Wiley of an artist who uses an unusual yet everyday medium to create art. More of Angela's work can be seen at www.angelawiley.com. Host Minette Seate presents an evening of short films by local filmmakers that includes: Sam Boese's corporate satire "Hamilton Lurie and the Bad Karma Sink," a selection from Madelyn Roehrig's documentary on people who visit Andy Warhol's grave "Figments: Conversations with Andy" and two films from Bryan Talkish, a sci-fi thriller "Home" and an urban zombie showdown "Prosper City." Kristen Lauth-Shaeffer and Andrew Halasz are interviewed on their project "Neighborhood Narratives." 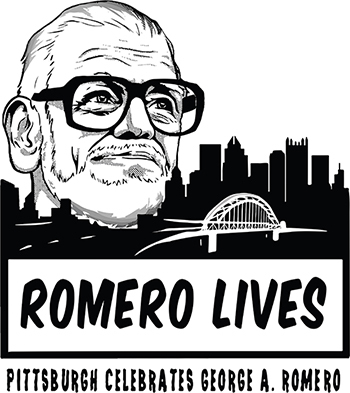 In 2008, nine short films were made, each one set in a specific Pittsburgh neighborhood. The films were a huge hit during local screenings and this is their first time on television - four films will be presented. Pulitzer Prize-winning photographer John Kaplan was at the top of his world. Never before ill, he was used to documenting the life ordeals of others. But when suddenly diagnosed with a rare case of potentially deadly Lymphoma, it was a blind side. Turning the lens on himself, Kaplan's remarkable imagery takes us beyond his despair and through his powerful belief that he can, and must, beat it. 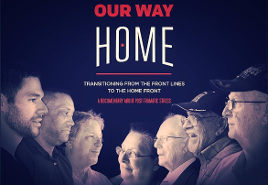 This Week on Filmmakers Corner, we’ll see the moving documentary “Our Way Home.” Filmmakers Alexis Werner and Kris Veenis conduct interviews with veterans from World War II to the conflicts in Iraq and Afghanistan, revealing their individual struggles with Post Traumatic Stress Disorder. Archival film and photos illustrate the stories of the men and women whose lives still resonate with the violence of war. An interview with Andrew Halasz, Assistant Professor of Cinema and Digital Arts at Point Park University and filmmaker Noel Schermaier. Episode also includes selections from the 2010 Point Park University Cinema showcase. Host Minette Seate interviews Jim Seguin, director of Robert Morris University's Center for Documentary Study and Production and screens two student films from 2006: "The Baluh Boys" and "That's Amore: the 10th Annual Dean Martin Festival." Every year, the Pittsburgh Center for the Arts names its Masters of Visual Arts. Two of them are profiled in tonight's episode: David Lewis – a profile of the artist and sculptor and Tina Brewer -- educator and textile artist. Also, Jay Kuntz’ Chasing The River – a look at the beautiful ecosystem along the Allegheny River Basin. Natalie Vazquez’ Routes to Roots – a young woman looks at the way the relationships with her grandmothers are grounded in their respective food traditions. Host Minette Seate brings you another show of shorts! 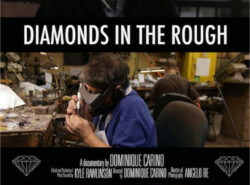 First, we'll meet Lisa Smith of the Steeltown Film Factory and watch the winners of the 2010 Film Factory competition. 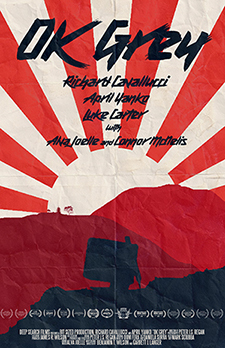 We'll also see Andy Kelemen's "A Roof Above" and Glenn Syska's "Fortunex." In the first episode of the new season, director and filmmaker Steve Parys joins host Minette Seate to talk about his on-going love affair with Pittsburgh and his career as a filmmaker. We screen two of his films “Light Headed” and “Breakage. Also included in the program the horror short “Lost Dog” by Goat Milk Fudge and the mockumentary “Apes” from Pittsburgh Filmmakers. Host Minette Seate presents Sharon Brown’s documentary “The Carrie Deer.” The old Carrie Furnaces – in the milltown of Rankin –- once produced over a thousand tons of iron a day according to some estimates. In 1997, fifteen years after the furnaces had shut down, a group of mysterious young artists used the mill and its refuse to create the Carrie Deer. Once considered close to vandalism by some, the deer is now at the heart of a preservation campaign and serves as an enduring symbol for the region. Artist interviews, rare archival footage and original music help tell this unique story. Southwestern Pennsylvania is world renowned for its dominance in the steel and aluminum industries. "The Carrie Furnaces" tells the story of those famed furnaces, iron production, and the industry's contributions to the region's history. "The Carrie Furnaces" is filled with engineering marvels, labor rights and stories of a time when just going to work was an adventure. Host Minette Seate presents two films: The Cask Of Amontillado, a dramatization of Edgar Allan Poe’s sinister story that centers on a rare cask of wine. Second up is filmmaker Kirsi Jansa’s “Gas Rush Stories.” This compilation of two episodes from Jansa’s web series focuses on shale gas production and how it affects the communities where it occurs. To find out more about the team behind "The Cask," visit their website at: dijitmedia.com. For more insight into The Gas Rush Stories and filmmaker Kirsi Jansa, visit kirsijansa.com. Will Zavala is a maker of documentaries and an instructor at Pittsburgh Filmmakers. This episode features a selection of his documentaries including: The farm-life documentary "Today I Baled Some Hay to Feed the Sheep the Coyotes Eat," a raucous look at life on wheels in "Roller Derby: Theatre of Pain," and a portrait of famed local artist "Virgil Cantini: the Artist in Public." Host Minette Seate is joined by Brian Cook, Production Manager for the GameChangers Project -- a filmmaking fellowship for artists of color. Brian discusses the project’s original mission and how its scope has broadened over the three years since its inception. New films by the 2014 Gamechangers class include: “Sankofa: Pittsburgh,” “Small Seeds Pittsburgh,” “The Carter G. Woodson Academy,” “They Have a Voice,” “The Script, the Badge and the Game” and more. Host Minette Seate presents “The Haunting Of Larimer Mansion.” Loving the charm and history of the area, Lynne and and Larry Moisey purchased the old Larimer House in North Huntingdon PA. They refurbished the more than 200 year old home into a charming bed and breakfast that attracted visitors from throughout the region including more than a few from another world. The paranormal investigation team Hauntings Research explores the mansion and shares its many unnatural secrets. Filmmakers Corner starts its fourth season with an interview with Mitch Leib Executive Director of the Pittsburgh Lesbian & Gay Film Festival on the 2012 Reel Q festival and clips from this year’s films. 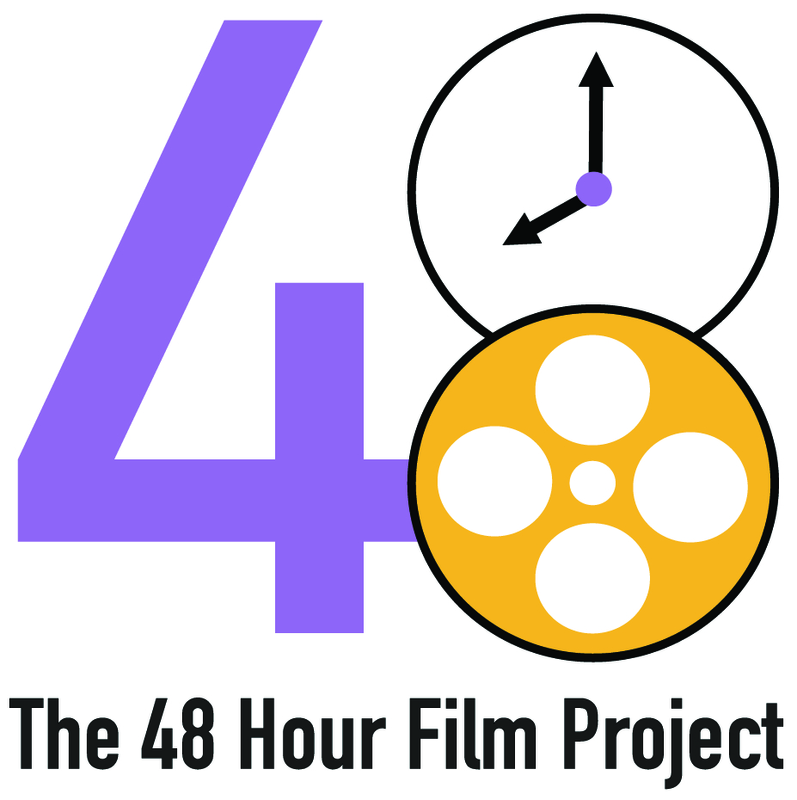 Also, Kahmeela Adams and Nina Gibbs of the 48 Hour Film Project Pittsburgh edition talk about the growth of the 48 and present a selection of films from the 2012 competition. Including: Letter Die: A Gamut Sibling Mystery, Tourist Companion, Green Eyed and more. Comedy, adventure, drama, dinosaurs! A re-broadcast from season 4, this episode starts with an interview with Mitch Leib, executive director of the Pittsburgh Lesbian & Gay Film Festival "Reel Q." Then, Kahmeela Adams and Nina Gibbs of the 48 Hour Film Project, Pittsburgh edition talk about the growth of the 48 and present a selection of films from the 2012 competition. Those films include: Letter Die: A Gamut Sibling Mystery, Tourist Companion, Two to Tango, In Security, The Last and more. This week on Filmmakers Corner, host Minette Seate presents “The Trail,” Robert Isenberg’s self produced, self shot documentary on his one man trip on the Appalachian biking trail from Pittsburgh to Maryland. Also, two additional short films, both from the 48 Film Project: “A Walk in the Park” and “Come After.” You can find out more about the filmmaker and see a trailer of his two-wheeled journey at his website robertisenberg.net. Minette Seate hosts two films that share a theme of tolerance. First is “The Wait for Innocence” by Mark Notarberardino. 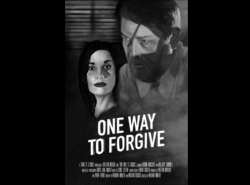 Mark is an independent filmmaker who brings us this suspenseful short focusing on one man’s delusions and the unlikely friend who chooses to help him. Second is “The Marriage Project” by first-time filmmaker Michele Huber. 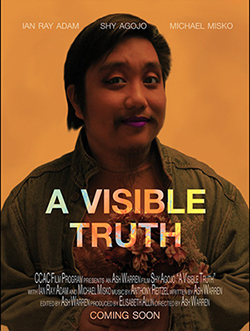 Huber’s film contrasts and compares the lives of three married couples – one gay, one lesbian, one heterosexual – and their quest for marriage equality. Host Minette Seate interviews videographer Ben Hernstrom and screens his documentary "Venzaha." And artist and filmmaker Teresa Foley shows off her "Locally Toned" project and screens the short films: "Fight and Flight," "A Mano," "Monkey Forest Tourist" and "Hazardous Materials." "What Does Trouble Mean" tells the story of the late local civil rights activist Nate Smith who fought to get African American workers on construction crews during the city’s building renaissance in the 1970’s. It includes re-enactments, news footage, and interviews. Host Minette Seate interviews Pittsburgh Filmmakers Director Andrew Swensen on the 2010 Three Rivers Film Festival and previews clips from the festival. Also, producer/writer/actor Nikki Young talks about her film "Whistle Lesson." The film is shown in its entirety.